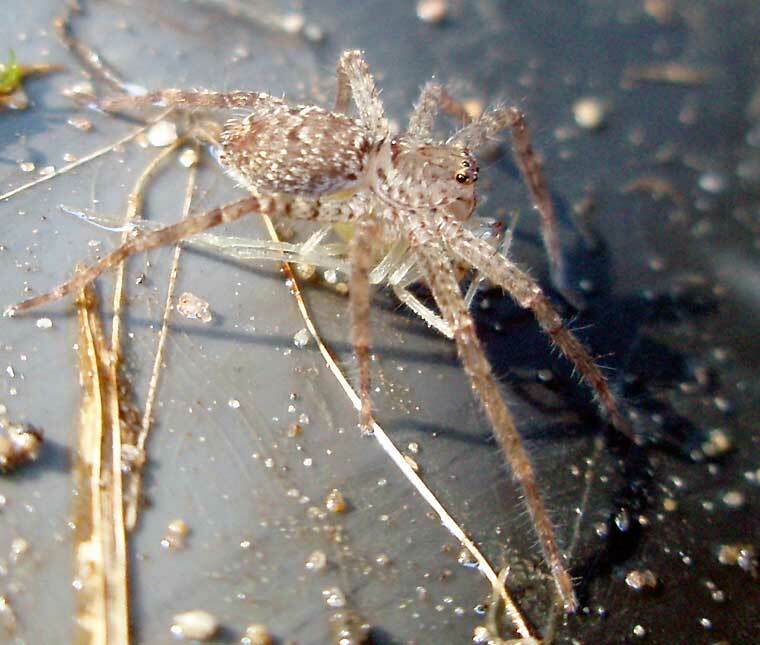 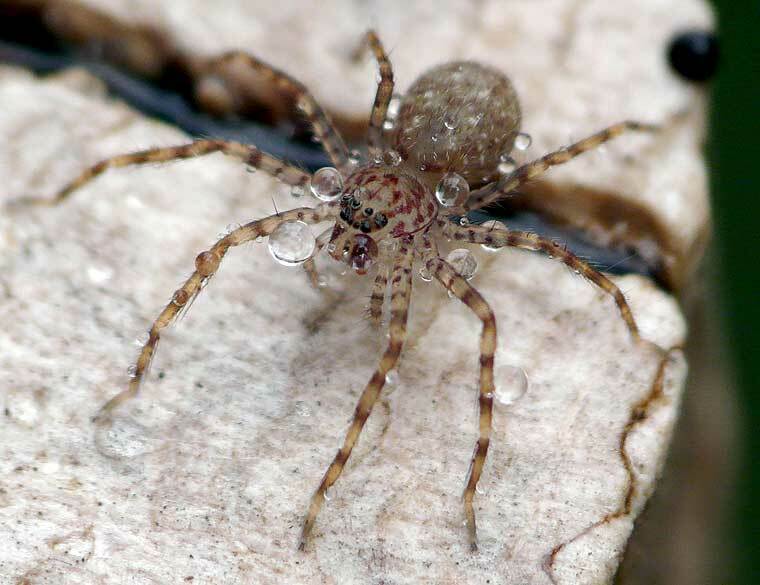 Small spider, about 3.5mm body length, flushed to the surface of some cork mulch when watering a pot plant. 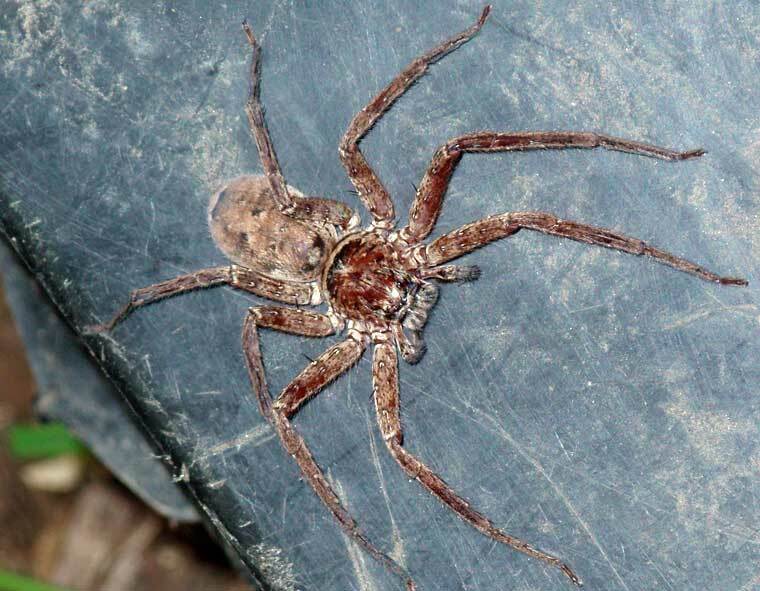 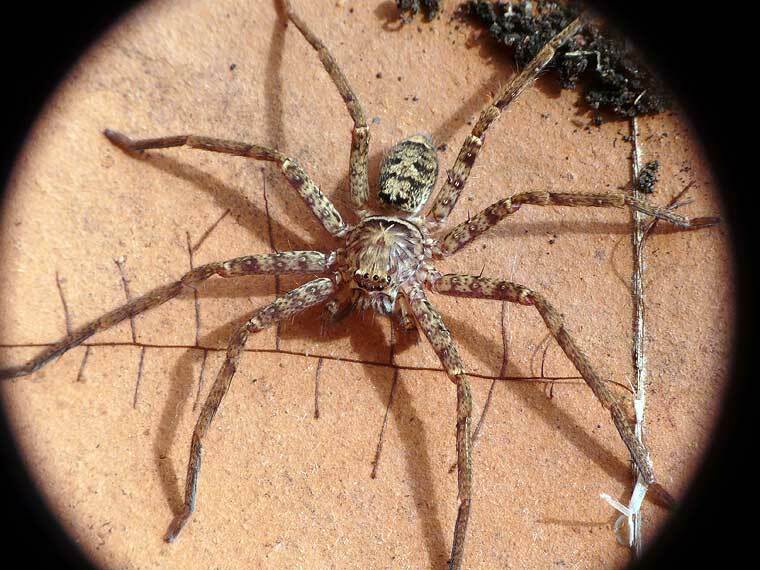 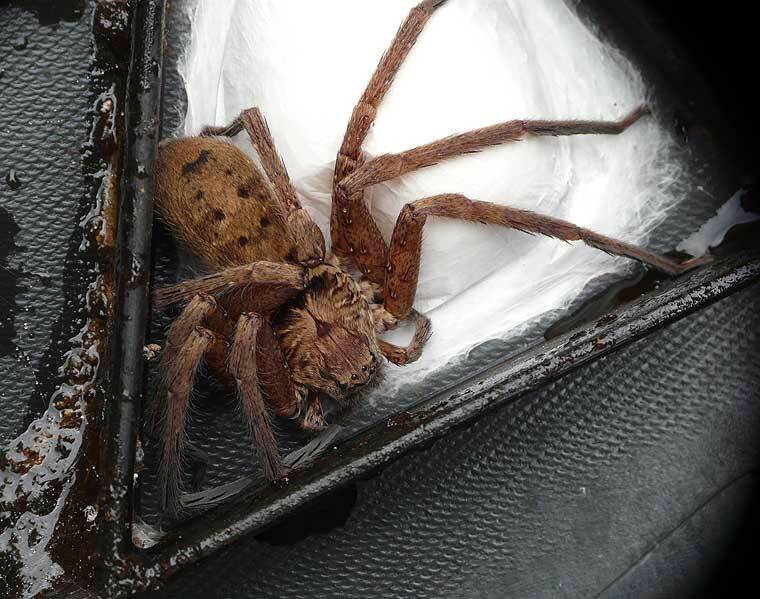 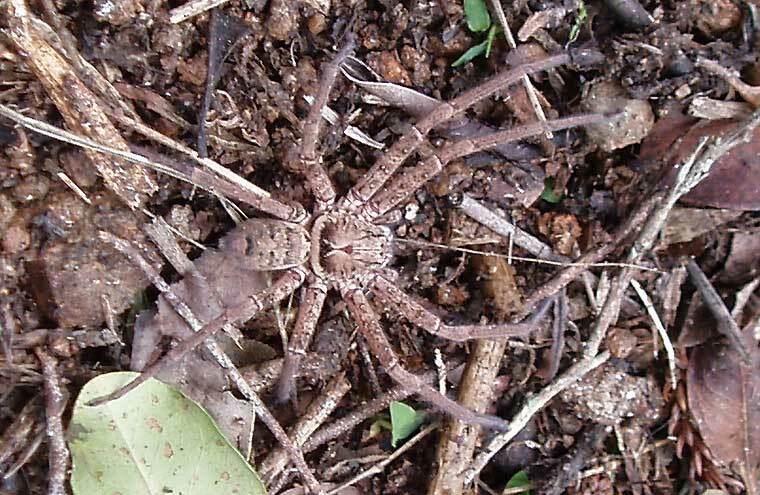 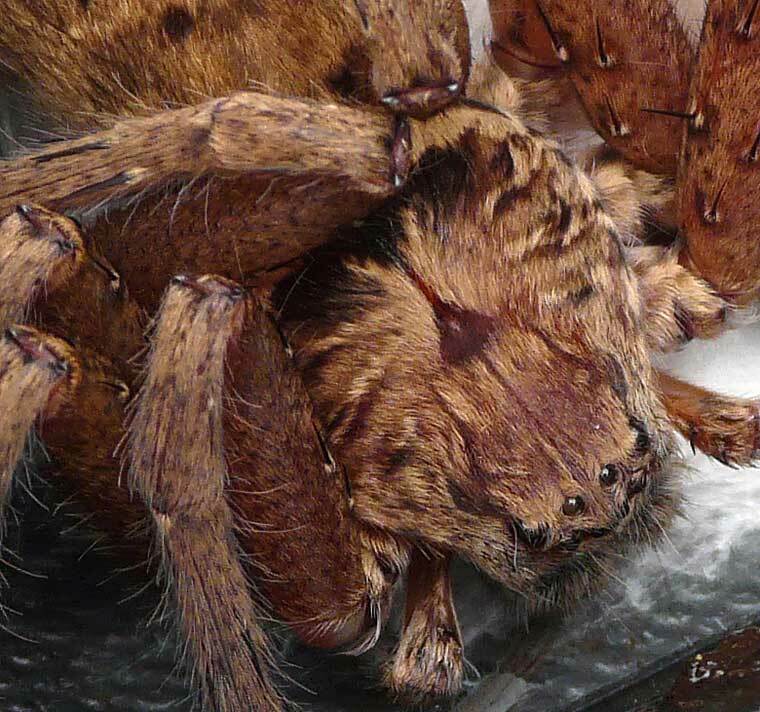 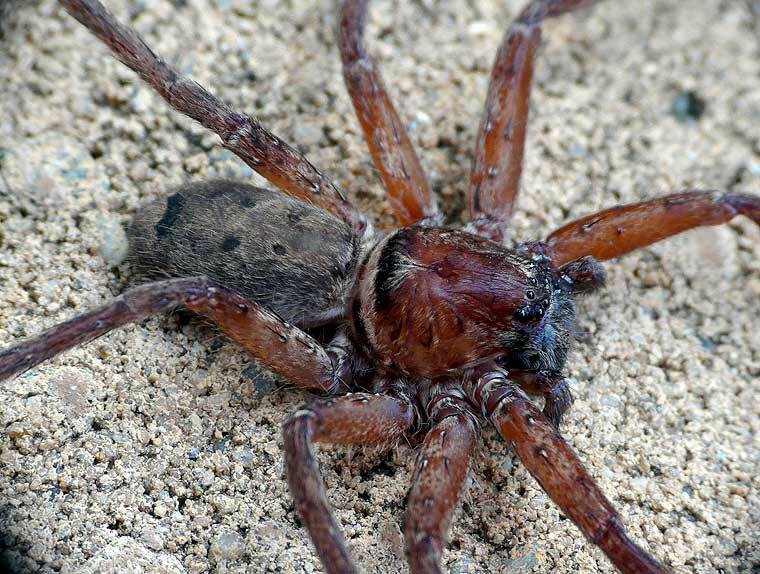 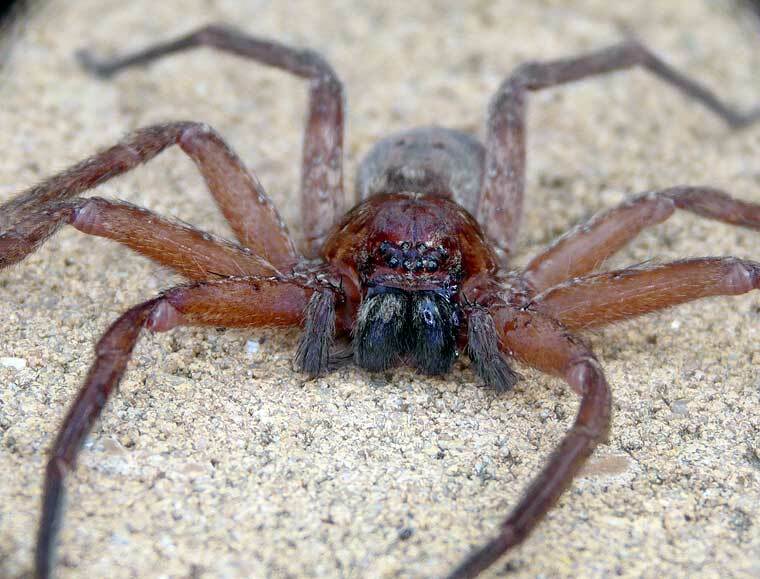 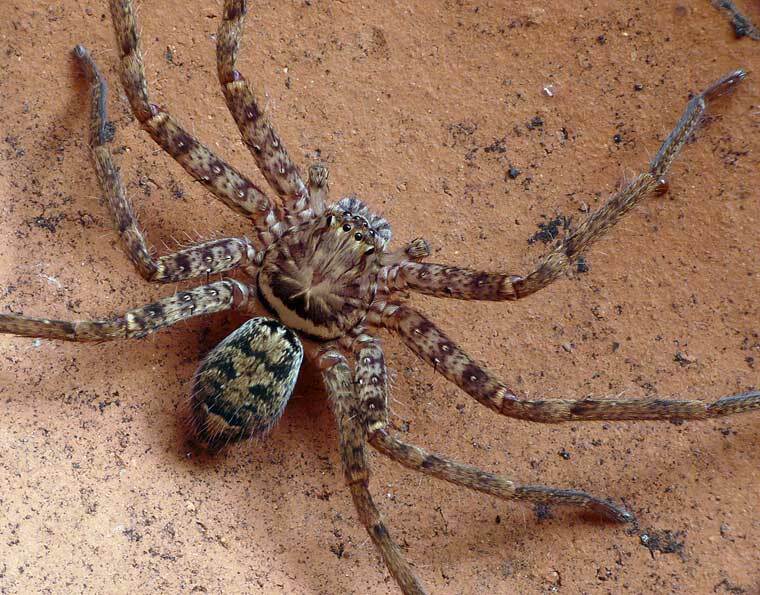 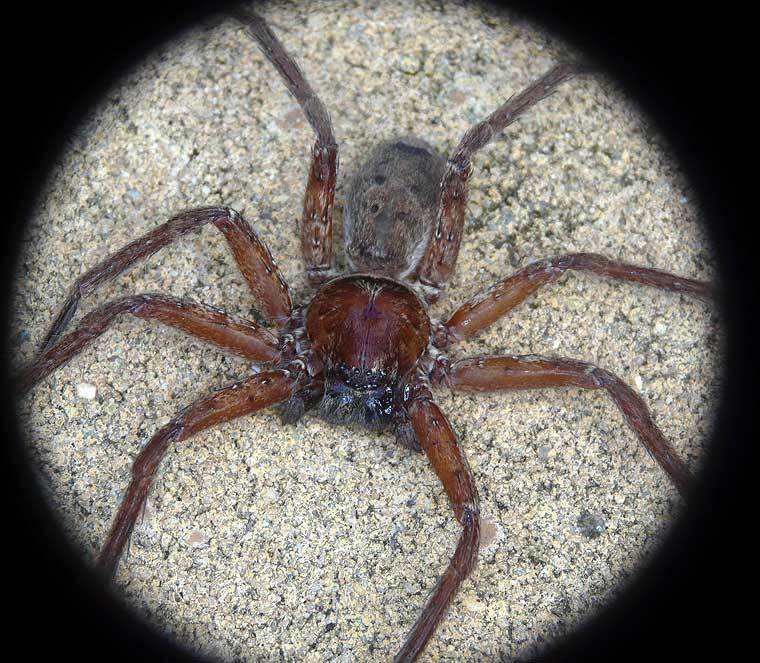 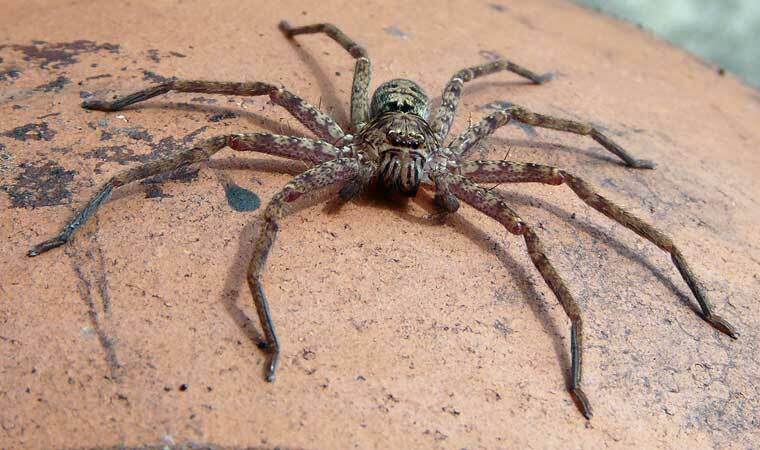 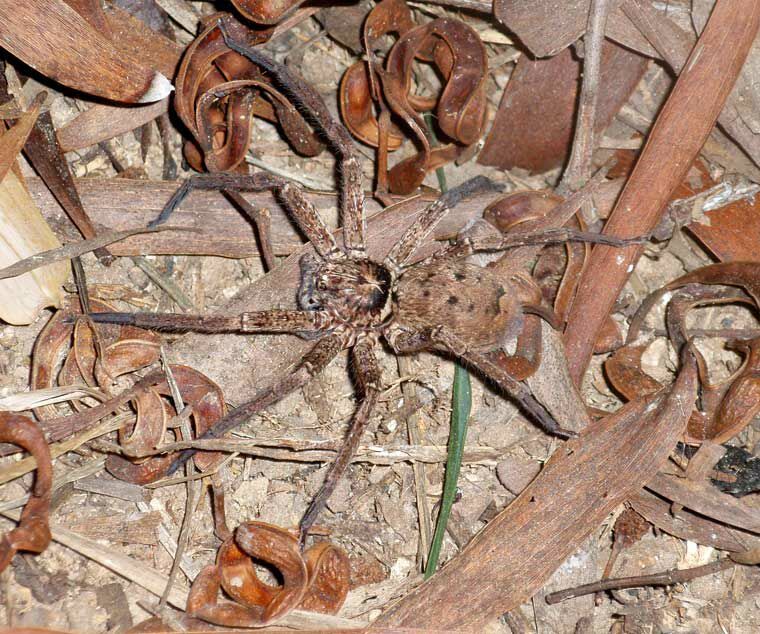 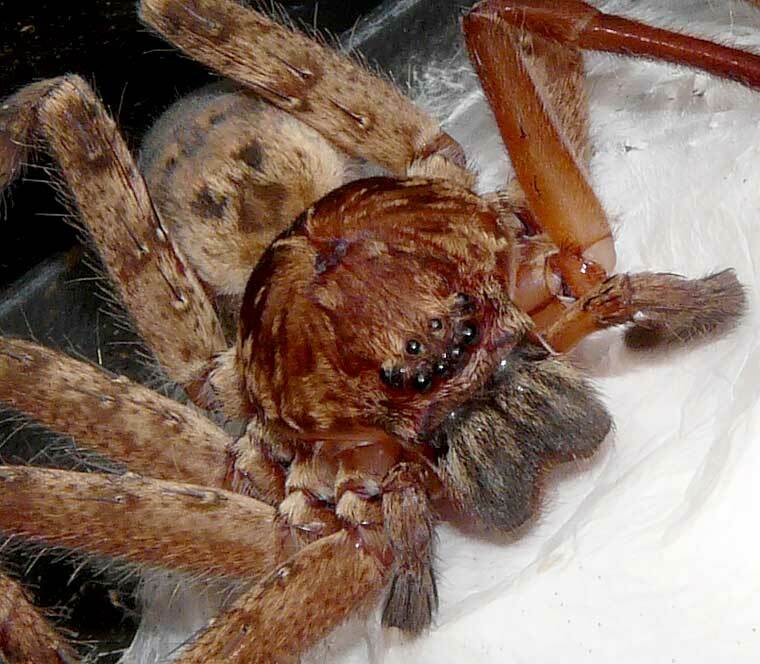 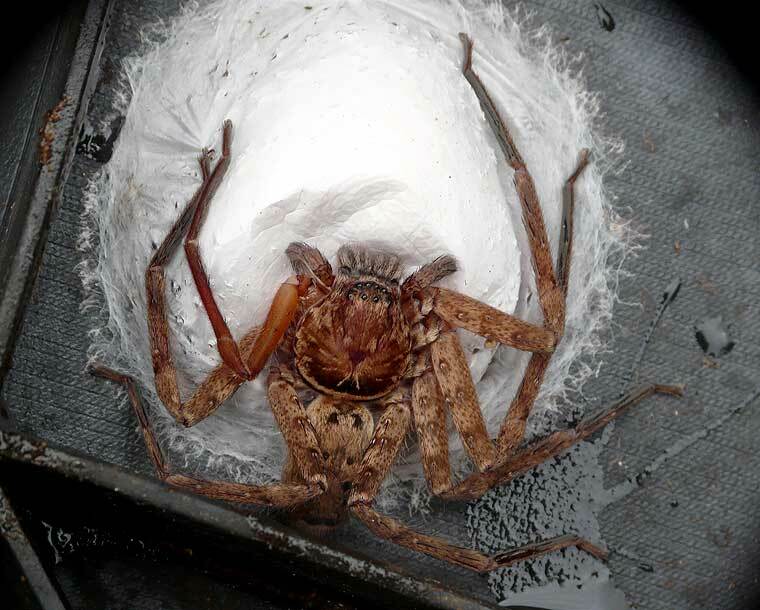 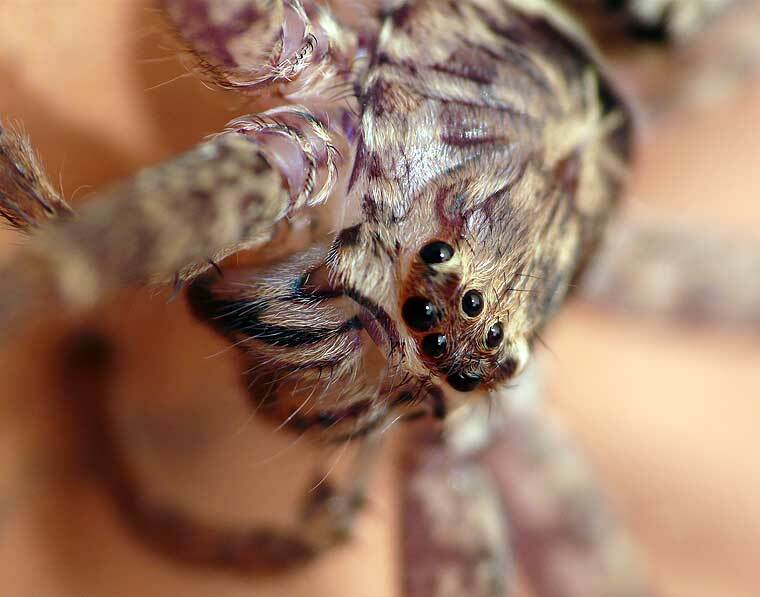 David Hirst, SA Museum writes: "It certainly does have the appearance of a huntsman and I think a juvenile (spiderling) of Heteropoda. 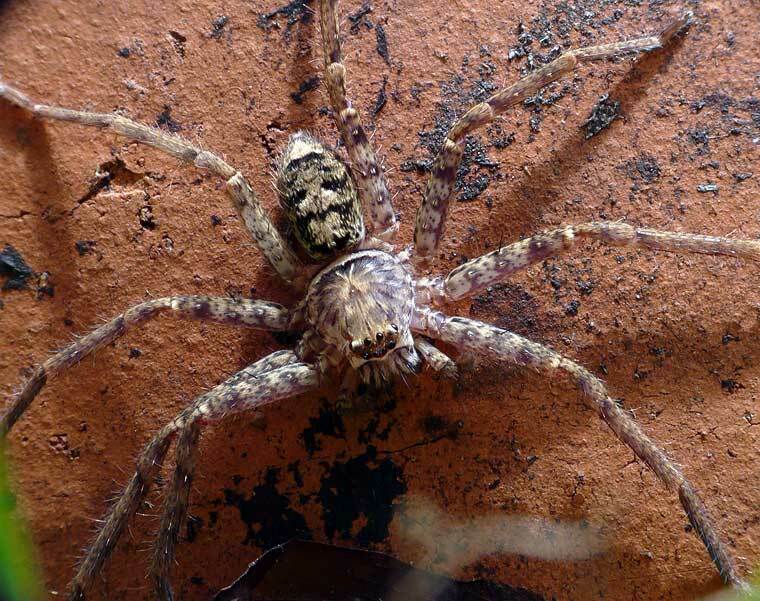 Some spiderlings look quite different once they have reached maturity with some some colours & patterns developing with each moult."